This extensive genetic screening is performed by one of the world leaders in canine genetic testing, Your dog will be screened for over 100 of the most common breed diseases. 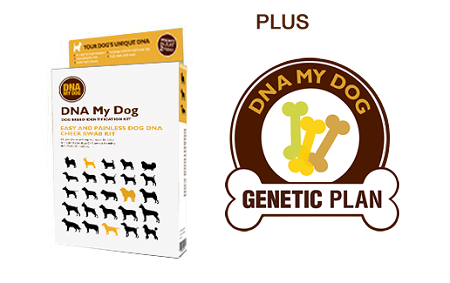 Each test is normally $85.00 but with this exclusive package you can get all 100 plus tests for $120 when ordered with your DNA My Dog testing kit. THIS SERVICE TAKES 4 WEEKS TO COMPLETE. Please note your results will not be ready in two weeks and require an additional 2 weeks for the additional screening. This service includes all of the features of the Life Plan and Health Plan PLUS you get specific screening for over 100 common genetic diseases. This test is commonly used by breeders but is an excellent tool for any dog owner to manage any potential health risks in your dog.